Mark is the founder of 7Futures and has been consulting in workplace resilience, wellbeing and performance since 2000. He is a resilience coach, an FA coach (working for several years at Leicester City FC) and also a mindfulness teacher. He is the only UK consultant to have completed the USA based MMFT training programme and is supporting the Mindfulness Initiative for the UK Armed Forces. Formerly a CEO of J Rothschild International Assurance with responsibility for their European, Americas and Far Eastern operations, Mark has over 20 years of international financial services experience and a deep understanding of the pressures leaders need to manage. He remains a founding partner in one of the West Midlands most respected nursing care groups which has been providing essential care since 1988. Nathan Douglas is a Double Olympian for Team GB, having enjoyed a career spanning over 12 years at world-class level. He is twice ranked in the top three in the world and has won two European silver medals in the Triple Jump. In 2016 he was made the GB Team Captain, a reward and recognition of his resilience over the past few years in times of difficulty. Nathan is a certified Peak Performance Coach and NLP Practitioner. He is on a mission to stop people from just functioning and to help them flourish and perform at their very best. Calvin Morriss, a 7Futures consultant, is Senior High Performance Consultant for World Rugby, the sport’s international Governing Body. Calvin has spent almost 30 years in elite sport. His roles have included, Head of Performance Support for British Cycling, Head of Speed and Power Sports for the English Institute of Sport, Head of Strength & Conditioning positions for Rugby Football Union, Georgian Rugby Football Union, UK Athletics, & Great Britain Basketball. He was also part of the management for the Rugby World Cup winning 2003 England team. Calvin has attended 4 Rugby World Cups and 4 Olympic Games. He holds a PhD in Sports Biomechanics. Henry is a former UK martial arts champion and is a coach to current UK champions. Using his sports science degree and close relationships with other elite sports coaches he has developed his own functional integrated training and high intensity interval training programmes. These transformative programmes are central to his CoreFit Academy and to our own workplace wellbeing products. His methods enable clients to substantially reduce training time and costs. Craig has an exemplary record in professional sport with over 24 year’s experience as a High-Performance Coach. He has coached at the elite level of rugby with teams such as Ireland, Wales, British and Irish Lions, London Wasps, and Leicester Tigers. Until recently Craig also consulted for World Rugby (Rugby's governing body) over a 6-year period. This was a global role supporting teams and coaches across all codes of rugby. He has helped International teams to prepare for the last 4 Rugby World Cup Competitions. Craig's personal commitment to researching holistic health and wellbeing and how this relates to improvements in human performance is profound. He has a Masters Degree in Exercise Physiology, a PhD in Holistic Nutrition (pending completion in 2017), is an Accredited Sports Nutrition Advisor, an NLP Master Coach, Spectrum Emotional Wellness Coach, certified Hypnotherapist, a Yoga and Meditation Teacher. He specialises in Men’s Health and Wellbeing designing and delivering Men’s Retreats, Men’s Group Work, Private Life Coaching, Bespoke Sports Coach Mentorship Programs, Inner Leadership Workshops and Motivational Talks. Renee is a qualified Nutritional Therapist and member of the CNHC (Complementary and Natural Healthcare Council register). She has been working in community nutrition for 10 years, applying her knowledge mainly in a practical way through cooking classes and informal interactive workshops. The aim of these workshops and classes is to build knowledge, improve confidence and to enhance practical skills, therefore empowering people to take charge of there own diet and healthy lifestyle. Renee works in local councils , children's centres, community hubs , schools and offices. She provides catering with a difference in that the food on offer is always fresh, imaginative, wholesome, delicious and made with a strong bias towards nutritional content. Nicola manages our communication management system, wellbeing manager tools and related online services. Her focus is on the delivery of clear and supportive communications and on-line content to assist clients build engagement with the wellbeing framework and programmes they wish to implement. She understands that clients have many competing priorities for their time and works closely with managers to establish a pragmatic and helpful relationship to support wellbeing health days, workshops and events. Lizzie srarted cooking professionally 17 years ago at a retreat center and later worked as a personal chef in North Carolina, USA. Her interest in the relationship between health and wellbeing lead her to train in 2012 as a Health coach at the Institute of Integrative Nutrition. Cooking is her passion and it is her mission to cut through the misinformation, and confusion that surrounds what to eat, for health, healing and the planet. She also has an interest in child development and at present is training in early years education. CBT, EMDR and Mindfulness. His main professional interests now lie in the fields of Health, Wellbeing and Communication, in particular helping others to understand how the Mind and Body work together and influence each other. Small changes in thinking, behaviour and mindset can create large changes in peoples health and their experience of Stress and Anxiety. Away from work Steve has always been a keen sportsman and advocate of personal fitness, and he is an RFU rugby coach. Janet is a qualified Physiotherapist and member of the Chartered Society of Physiotherapy and Health and Care Professions Council. She had 20 years experience within the NHS before completing an MSc in Physiotherapy. Since then her work has diversified into a number of roles, predominantly as a research physiotherapist in a number of multi-centre research trials for Warwick University and as a visiting tutor for Coventry University. Janet enjoys mentoring and educating students and has a particular interest in aspects of Health and Wellbeing with respect to the Ageing population. Kelly is a three time Olympic medalist, World and European medalist and Commonwealth Champion at Heptathlon and 4x400m. She was an elite athlete for over 10 years and retired shortly before the London 2012 due to a severe back injury. Athletes rights and views and is a Board member of the SPTT (Sports People Think Tank). Kelly is currently studying her MSc in Sports Directorship at The University of Salford Business School. Sofia is a holistic health consultant with over 15 years experience in the health and wellbeing industry. Her enthusiasm is on going and remains committed to bringing better health to peoples lives. Sofia has taught for many years in colleges, the private sector and delivered workshops for a variety of organisation’s. Sofia holds qualifications in Adult Teaching, Stress Management, Nutrition & Health, Fitness and a wide variety of Holistic Therapies. 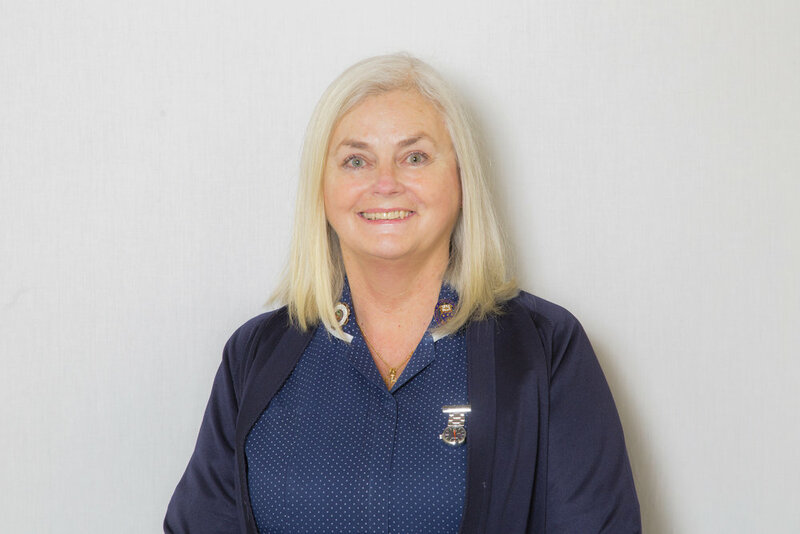 Linda is a qualified Registered General Nurse with over 40 years of experience in emergency, trauma and orthopaedic care in the NHS, overseas and the private sector in the UK. More recently she has specialised in the Care Home sector specialising in management and direct care of nursing and palliative patients. Linda enjoys teaching and mentoring staff. She has an interest in the Health and Wellbeing of the ageing population and providing an excellent standard of holistic care. Charlotte is a recently retired registered general nurse. She has spent the majority of her career in the private sector managing a very successful care home for older adults with dementia. She was one of the first nurse managers in North Warwickshire to gain a diploma in dementia studies and apply the person centred care approach to her work place in 2004, long before this became common practice nationally. Her interests have always been in counselling and providing emotional support for her clients and relatives. She also recognised that these principles, when applied to her staff helped reduce stress in the workplace which in return lead to a happier and healthier staff group. Reducing stress and anxiety is something that she is very passionate about. Rebecca is passionate about holistic therapies especially Reiki. She gained 3 years experience at Ragdale Hall Spa and has completed qualifications in Indian Massage, Aromatherapy Massage, and a Masters in Reiki. She currently teaches Reiki to students from stage 1 through to Masters level. Aidan Syers is a 3x English Schools Gold Medalist and 3x Welsh Indoor champion in the 60metres. He has competed for Great Britain Under 19's and Under 20's and been part of the Great Britain Senior 4x100 relay squad. Aidan competed for England at the Gugl Indoor 2014 games in Austria finishing in 2nd place, in the 4x100metre relay team that won the 2014 Loughborough International and again in 2015 and in the same year won the Bratislava International in Slovakia. In 2016 and 2017 Aidan was amongst the athletes selected for The England Team and he continues to compete at the highest level across the European Athletics Circuit. As a Sports Performance Coach and Sports Scientist Aidan's work includes coaching Elite Sportspeople for Speed and Conditioning. Lecturing on Sprints Coaching for England Athletics and as a speed consultant. He spent four seasons as a Sports Scientist for Crystal Palace FC and currently works as Head of Sports Science at Unique Football Academy, based in London. Tim is an ex-team GB and Ghana Sprinter with over 17 years’ experience competing at the highest level in my sport. He has competed at the Commonwealth games, World Championships and the European Championships. Since retiring from the sport he has become a fully qualified Personal Trainer and continues to broaden his knowledge whilst working with Leeds Carniege Rugby Union, Halifax Town FC and Leeds Rhinos Netball. As an experienced athlete he has first-hand knowledge of improving fitness levels, changing body shape and improving strength and conditioning with his elite approach and training methods. Heather is a Sports Massage therapist and a full time athlete, competing internationally for Scotland. She has a Level 3 Diploma in Sports Massage Therapy and has been qualified for 2 years. As as an athlete, Heather has gained excellent knowledge and an in-depth understanding of the body from her own sports massage therapy. Plus she has the experience of providing therapy at two gyms for a wide range of clients . She is fully aware of the huge range of physical and psychological benefits that sports massage can provide, and there is a treatment suitable for everyone. Natalie has been working within the health and fitness industry for over ten years. She has a Physiotherapy degree and a Level 3 Sports Massage Diploma and a successful personal training studio where she uses her expertise as a Chartered Physiotherapist to provide hands on treatment to her clients in a gym environment whilst educating them on the importance of healthy living and exercise. Natalie is both a member of the Chartered Society of Physiotherapists and Health and Care Professions Council and uses this platform to advocate the power of exercise. She believes that with the correct education and guidance many ailments can be correctly treated and even prevented and is hugely passionate about supporting and helping others to live a healthier lifestyle. Hannah Rankin is a professional boxer and a Classical musician having graduated from the Royal Conservatoire of Scotland and the Royal Academy of Music. She turned professional boxer in 2017 and won her first title - the International Challenge Belt by the end of the year. 2018 then went on to be an exciting year for her. Some of her achievements include; winning the WBC Silver Middleweight title, fighting in the USA twice ,once for the WBA super middleweight title and then on a Matchroom USA promoted Show on Sky Sports and the streaming service DAZN for the unified WBA,WBC and the IBF middleweight titles against P4P champion Claressa Shields. Both of these fights she lost on points but learnt some valuable lessons progressing her as a fighter and also finishing the year with her ranked no.5 with the WBA, no.4 with the WBC and IBF in the World and the no.1 contender for the EBU European title. Hannah’s goal for 2019 is to become Scotland’s first ever female Boxing World champion and in June this year she will get the chance to fight for the IBO world title at home in Glasgow and couldn’t be prouder or more excited about the opportunity. Jennie is a qualified Performance Nutritionist who works within professional Football and Cricket with clubs such as Wolverhampton Wanderers Football Club and Warwickshire County Cricket Club. Previous clubs she has worked with include West Bromwich Albion FC, Aston Villa FC and Surrey Cricket. She is also a University Lecturer on a Sport and Exercise Nutrition Program. She is SENr registered and has completed her degree and post-graduate in sports nutrition, she is also currently undertaking a PhD within Sports Nutrition. Jennie is passionate about helping people optimise their health and well-being to enhance quality of life. 7Futures has a wider base of other nutritional, exercise and mindfulness coaches that supplement our main team according to client briefs.